It is the summer of the Transformer. Any look at the box office receipts will confirm that simple fact. People dig things that change. One-trick functionality gets boring. Scorpion understood this with the original EXO-900, but as a first attempt at a transforming helmet, it did have a few areas where improvements could be made. The Scorpion EXO-900X Helmet is the next iteration. 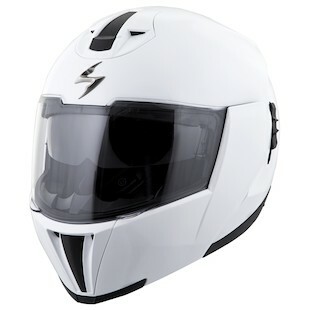 In creating the new version of a helmet that transforms from full-face to open-face configuration, the engineering team focused on lightening the fairly weighty helmet and were able to shave off 50 grams, bringing it in line with the hugely popular Shoei Neotec in overall weight. Most noticeably, however, is the new venting scheme, which has been made more aggressive and easier to operate. With an intermediate round head shape, lower price point, subtle stylistic redesign, and the elimination of the visor peak, the new EXO-900x has taken constructive criticism to heart and shown up as an improvement over the original. We all like choices. Depending on how you feel that day, or what the variations in the riding conditions may dictate, the EXO-900x can adapt to be the helmet you want.